The Greek-Cuban association of Friendship and Solidarity will participate in this year's festival of the communist youth, KNE ODIGITIS Festival. The Festival is on the 8-9-10 October in the Tritsi Park, at Ilion. You will find us in the international sector of the Festival. 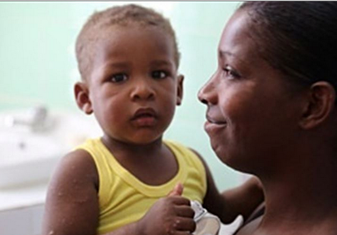 A sense of pride and peace of mind were experienced by Cubans on hearing that the World Health Organization (WHO) and Pan American Health Organization (PAHO) had certified the elimination of mother-to-child transmission of HIV and syphilis on the island. 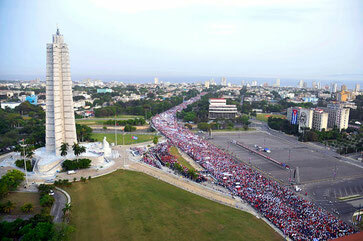 President Raúl Castro is presiding on the tribunal at Havana’s Plaza de la Revolución José Martí Memorial to receive the massive May Day march celebrating International Workers’ Day and reaffirming Cuban workers’ commitment to the Revolution. Joining the celebration is Nicolás Maduro, President of the Bolivarian Republic of Cuba.